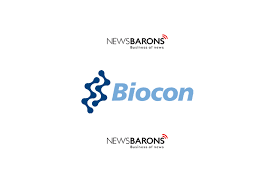 On a consolidated basis, Biocon's net profit rose 136.34% to Rs 217.20 crore on 45.65% increase in net sales to Rs 1540.80 crore in Q3 December 2018 over Q3 December 2017. The result was announced after market hours yesterday, 24 January 2019. On a consolidated basis, PNB Housing Finance's net profit rose 32.04% to Rs 302.97 crore on 46.76% increase in total income to Rs 2078.46 crore in Q3 December 2018 over Q3 December 2017. The result was announced after market hours yesterday, 24 January 2019. Larsen & Toubro and Maruti Suzuki India will announce October-December 2018 quarterly results today, 25 January 2019. Yes Bank announced the appointment of Mr. Maheswar Sahu and Mr. Anil Jaggia as additional directors (independent) with effect from 24 January 2019 for a period of 5 years.  The announcement was made after market hours yesterday, 24 January 2019. Further, the bank said that Reserve Bank of India (RBI) has vide its letter dated 23 January 2019 approved the appointment of Ravneet Gill as the MD & CEO of Yes Bank for a period of 3 years from the date of joining. Gill is expected to join the bank latest by 1 March 2019. The appointment will be subject to the approval of shareholders at the ensuing Annual General Meeting of the bank to be held in June 2019. The board of directors of Yes Bank have scheduled a special board meeting to be held on Tuesday, 29 January 2019, and will finalize on the delegation of powers for transition management in the interim period commencing from 1 February 2019 until Ravneet Gill assumes office. InterGlobe Aviation announced that its board approved appointment of Mr. Meleveetil Damodaran, independent non-executive director as the chairman of the board of directors of the company with effect from 24 January 2019. The board also approved the appointment of Mr. Ronojoy Dutta, as chief executive officer of the company with effect from 24 January 2019. The announcement was made after market hours yesterday, 24 January 2019. UPL had made an announcement to the stock exchange on 20 July 2018 for acquisition of 100% shares of Arysta LifeScience Inc. and its subsidiaries from Platform Speciality Products Corporation, an entity listed in the United States of America. The acquisition was subject to various regulatory approvals. The parties have now obtained all regulatory approvals necessary to complete the transaction, which is expected to close on 31 January 2019. The announcement was made after market hours yesterday, 24 January 2019. Deepak Fertilisers & Petrochemicals Corporation clarified after market hours yesterday, 24 January 2019, that it has been repaying commercial papers in accordance with the due dates and has repaid its last commercial papers on the due date in the current month. There are no commercial papers outstanding as on date payable by the company or any of its subsidiaries.